06h10 Early morning is the best time to enjoy the magical bay at its finest, don’t miss this chance to wake up and join Tai Chi Class on the top deck. Complimentary morning tea and coffee is served until 8 am. The spacious sundeck is also ideal place for yoga and meditation, amidst the perfect harmony of the sea, the sky and the mountains. 7h00 Enjoy your buffet breakfast on board. 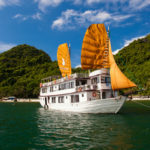 8h30 Transfer to day boat for the most-expecting discovery to Viet Hai Village.You will soon be amazed with the peaceful landscape of the isolated village and their lovely residents.Cycle along the village paths and go through rain forests and dark tunnel. Be impressed by stunning scenery of rice fields on the way. Visit an ancient local house, made from straw, mud, bamboo…you will have chance to encounter cherubic local peopleliving in the valley. 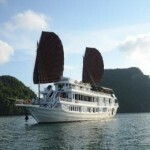 11h30 Back to day boat for fine lunch experience and cruising to Lan Ha Bay. 13h40 Free kayaking and swimming at Ba Ham Lake, a remote and scenic destination to the South of Lan Ha Bay. 18h00 Return to LA REGINA CRUISE, join a fruit carving lesson to try your hand making sophisticated flowers from vegetables and fruit under the instruction of cruise chef. Free time for jacuzzi relaxation to rejuvenate your body while enjoy a cocktail and watching the sun descending. 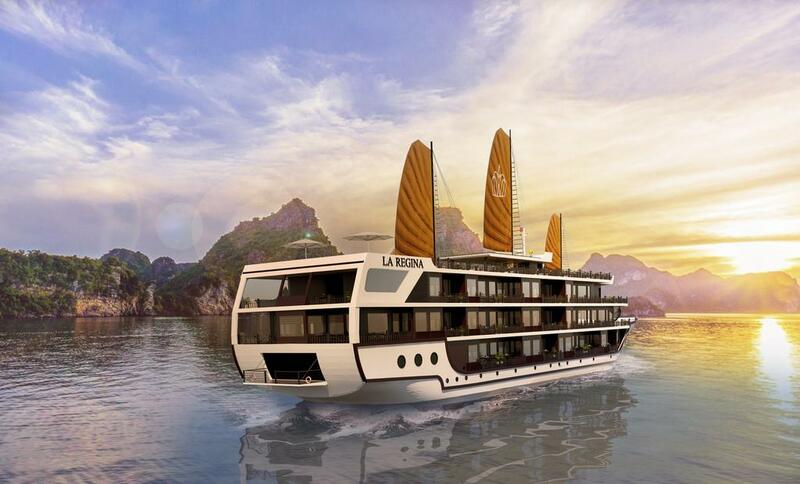 19h00 The second dinner at La Corona Restaurant continues your gourmet journey on board LA REGINA CRUISE. 21h00 Free time to enjoy night atmosphere at the bar, tasting wine and listening to live music is a perfect duet of luxury experience. Relax in your comfortable suite. 06h10 Again, start your fresh day with Tai Chi or yoga lesson. Try your hand with the slow movement of Tai Chi for the second time, you find yourself nearly control your body movement and enjoy the spirit of this exercise. 8:00 Join a visit to explore Dark and Bright Cave area. 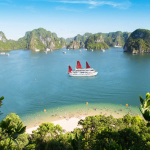 This area is belonging to Halong Bay, but is on the border of Halong Bay, Bai Tu Long Bay and Lan Ha Bay; which features the beauty of all these bays has to offer: magical grotto formation, untouched lush vegetations and tranquil atmosphere. 14h00 Back to your drop-off point in Hanoi center. 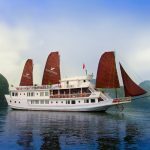 End of your 3-day 2-night Halong Bay Cruise trip.